Organizers of crusade to be held at Njamba freedom Park on the 5th to 8th November have expressed optimism that the event will play a crucial role in ending the economic afflictions Malawi is facing. 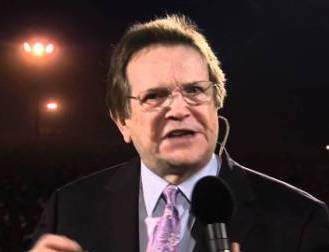 Bonnke’s crusade will help Malawi. Speaking in Blantyre during deliberation of preparations Assemblies of God leader Dr Andrew Duwe said the coming of Bonnke and Evangelist Daniel Kolenda will serve as transformation of this country. He further hinted that the meeting is meant to bring together all churches in the country. “The Gospel is more than just serving Gospel but it is also the transformation Gospel. Life and mindset of Malawians will be changed. He will change the current status of Malawi. Bonnke is a renowned preacher and pastor and what he brings in our country is enormous. He is an experienced man used by God meekly and massively, stated Duwe. Pastor Duwe further called on all churches in the country to participate in the distinctive coming in of Bonnke. Dr Andrew Duwe says other churches need to join the crusade. “This meeting is very crucial because it interns to bring together all churches in the country to reach this nation for Christ. We expect all churches to participate because this is the body of Christ. There will be no church that will be left behind and every church is important. Every church is encouraged to participate Program has put in place for this occasion that will be intended to bring a bond,” he added. 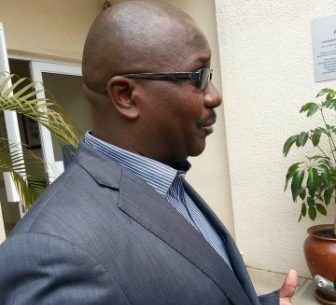 However, Chairperson of mobilising committee Apostle Raphael Chikwakwa has refuted the claims by some people whole has been on the sole head spreading the news that its only Evangelist Kalenda coming. Wil he take over th PRESIDENCY??POINTLESS! Bonke wants your money, not to solve economic problem. When are the people going to wake up? Who has sponsored anything so far towards the hosting of this event. I wish to let you know that not anyone is going pay even an offering during the event. Lets not just rush to write rubbish about the people of God. Pray that God will open your eyes my brother. amenewa koma sadzatisiirako ziwanda? anthu mukuyenera kukhala odziwa masiku ano omaliza kudzabwera aneneli onyenga, one ov the false prophets are bushiri hule ngati amrne uja amangonamiza anthu basi, nzake uja wasiya kutchuka uja Joshua mpamvu zimene amadalirazo zamuthera, amalawi tiyeni tisamale ndi ma false prophets just believe bible . mmasangalala akamabwera woyenda mmalere. welkam man of God. I wl be there. Bodza lopanda nalo manyazi, kaya poti munazolowera from paul AROMA 3V7. He must ends woes of his followers first . Only God ends problems if we are truly faithful to Him.We should confess our sins and allow God to perform in our lives in Jesus name..
Bonnke is a real prophet he prophesied in 1988 and saw a vision of those buildings which are at shoprite whilst that place was just a ground ,he said ‘I can see buildings here,this ground occupied with builds “,I have seen the vision coming true ,then I was very young ,I want to see him again because my friend haven’t managed they are gone ,oooh God help me . Tangozapempheretsani osati muzipope kuti economy ikhala bwino ngati ndinu akubanja lamulungu! Eishhh. You think your fellow human can be greater than God. Perhaps you think other people are blessed to the extent of travelling with God/Jesus in their breafcases. Mind you God is Omni present.He is not only aveiled to Bonke either. Plesase repent and fear God fear Him alone His reverence must not be shared with anybody. He is God Omni potent His name is Jevova. Tell them the truth bro, asatinamizepo apa Pastor this pastor that. Otukwana akuzitemberera yekha, if you are not a believer don’t think others are also non believers if you don’t have any comment just be quiet. Bringing all churches together for the NWO or what, churches differ on most doctrines in so doing that they cannot be together. That’s why churches formulated a global church by unti-Christ of world council of churches. Idnt think if this 1will help,if some1 is sick ucn vist him/her n’give special prayers bt falling of our economy Mmmmmmm! A bonke mwantchoka inu teeee! Wooooow! My pastor is finaly here, cant wait to see Bonkey. The posters of the preacher are making our city dirty,i like the billboards but not the way they have pested the posters of the preachers lets make our city clean. Devil speaking through you! What of political campaign posters?????? Blessed is the nation who’s Lord is God almighty. Which means we dont need the coming of Jesus to end our economic woes!!! You must be mad! No human can eleminate the suffering that culminate the entire world or even part of it, its only Christ and his kingdom that will do away with all sorts of suffering.